I hope you all had a lovely Christmas guys! 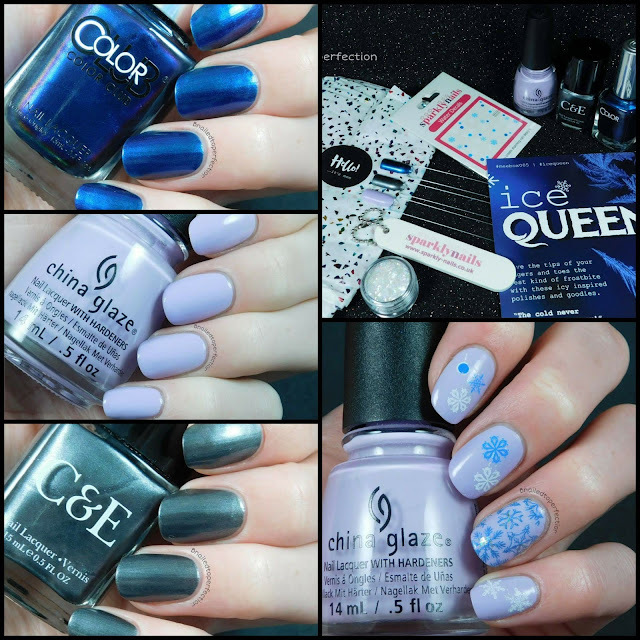 I'm back today after a few days break with swatches and review of the recent Meebox, Ice Queen. If you didn't already know Meebox is a monthly nail subscription box that includes three polishes and a few added extras like nail treatments, nail stickers, glitter etc. The extras in this box a pot of glitter, mini nail file and some water decals. 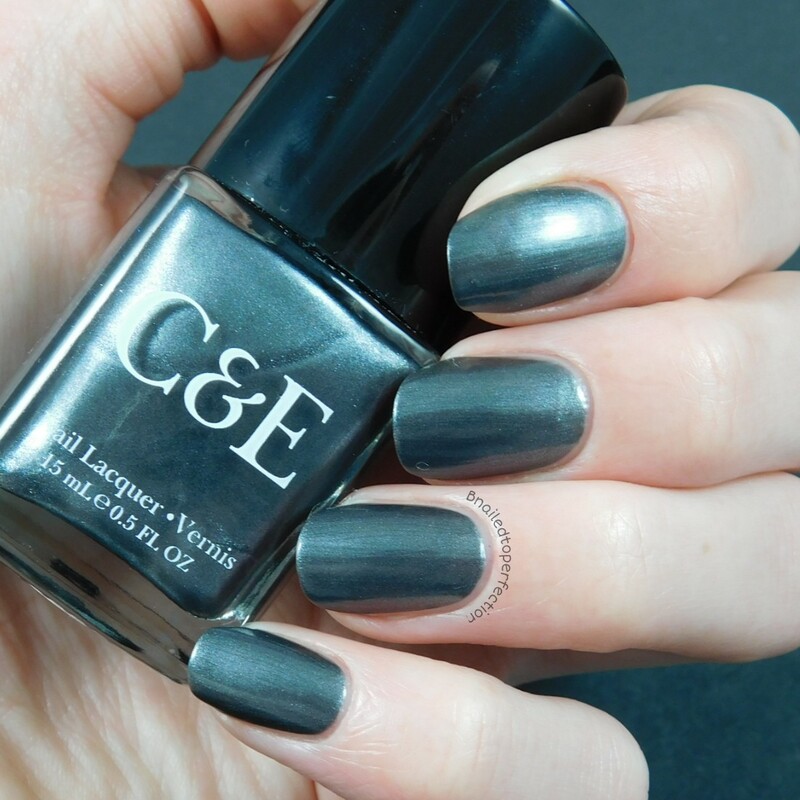 The first polish I tried was Mica from Crabtree and Evelyn. 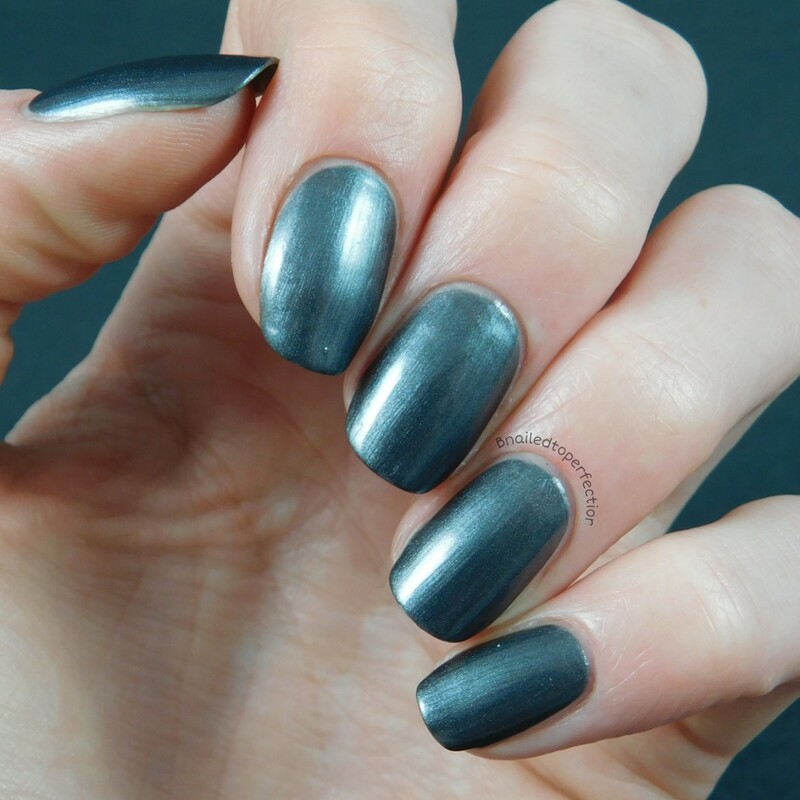 This is a lovely slate grey and is opaque in three coats. Pictured here with no top coat. 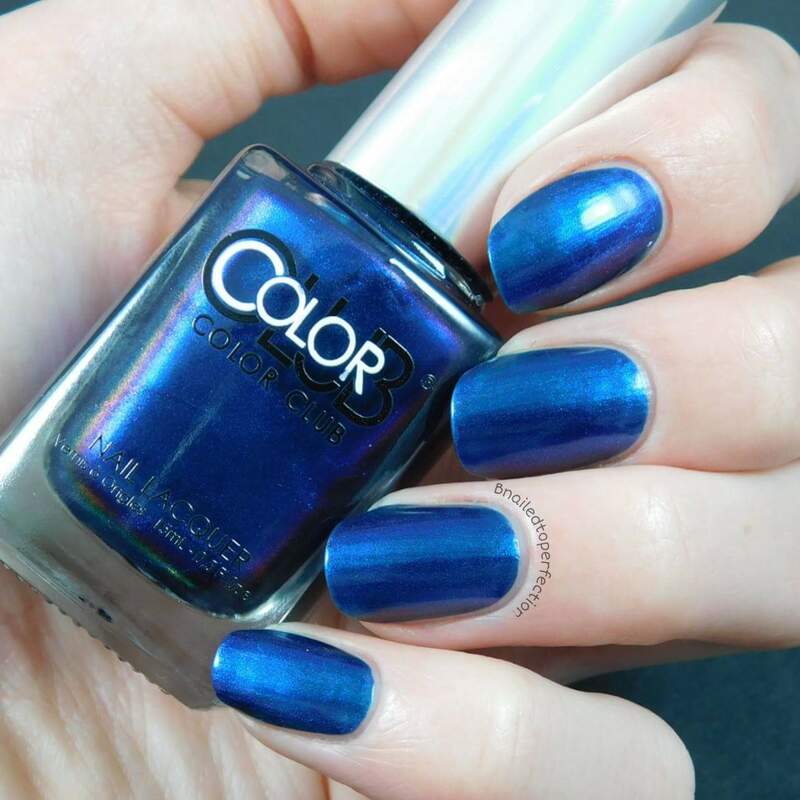 This next polish is a stunner and I found it so hard to photograph! It's Raining Men is from Color Club and it was almost a one coater. It's a tricolour and mainly shifts from a beautiful metallic looking ink blue to a violet. Pictured with no top coat. I took a bottle shot to show the shift to violet. Lotus Begins from China Glaze is a gorgeous lilac creme and it's opaque in three coats. Pictured with top coat as I used it in my last mani. For the final mani I used Lotus Begins as the base and actually stamped with It's Raining Men on my ring finger. I added some of the glitter from the box to the middle of the snowflakes. Then on the other fingers I added the water decals. I didn't actually used the mini nail file as my nails are already in shape but it will come in handy! This box retails at £20 for a one off purchase, which includes p&p. 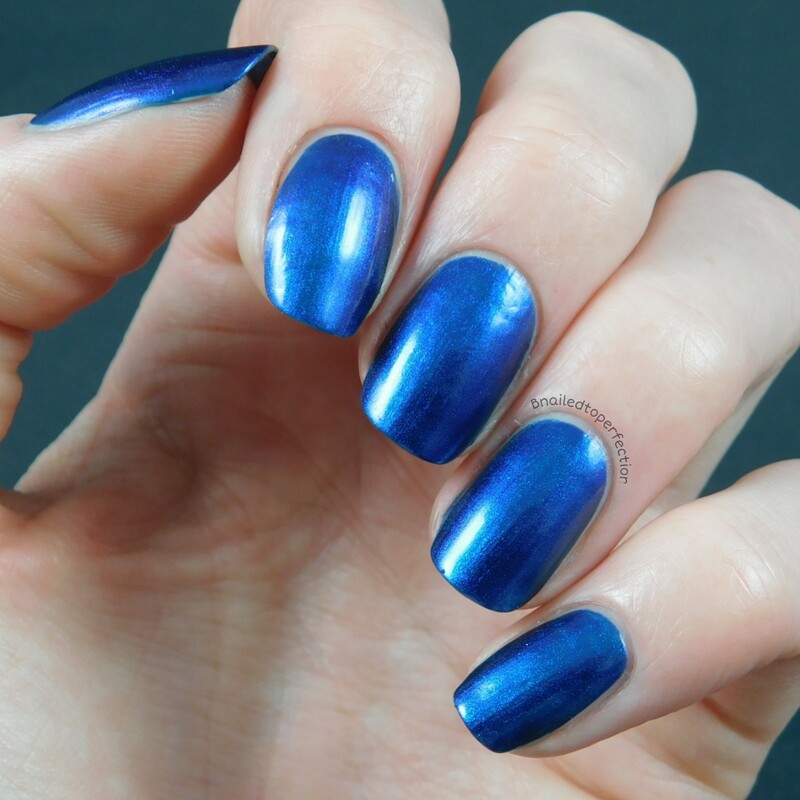 I think it's worth it as the polishes alone would be near that price anyway! What do you think of this months box? Here are the other boxes if you want to see what was in previous months. California Dreamin' and Hello Sailor. Don't forget to check out Meebox on their Facebook and Instagram.